October 9, 2017 — I didn’t know it was going to be our last Halloween at the Yellow House. 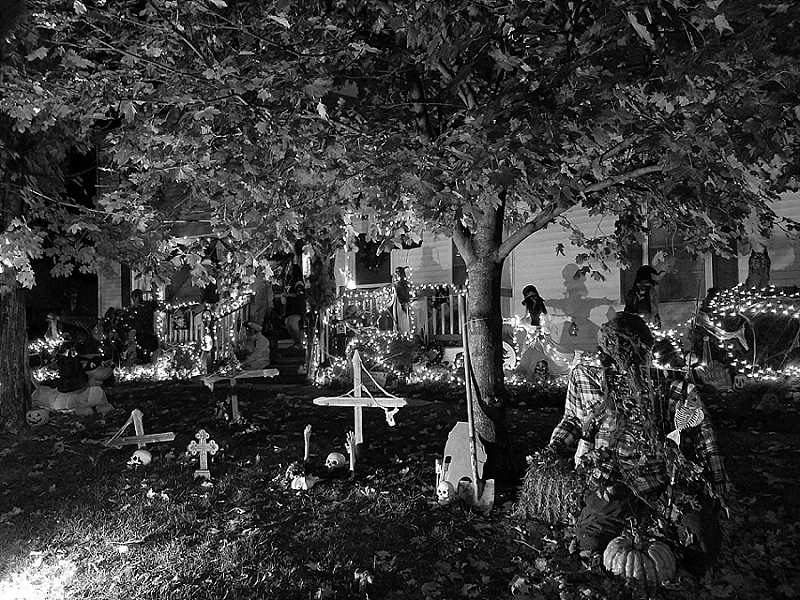 The last trick-or-treat in the old neighborhood. We’d spent nine Halloweens in that house. 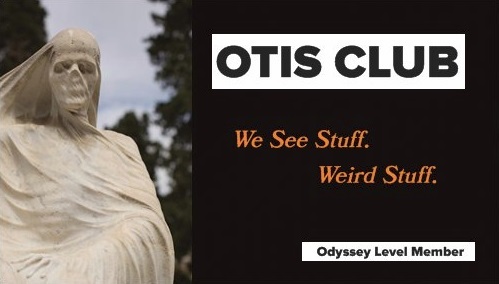 Seven OTIS Halloween Seasons. 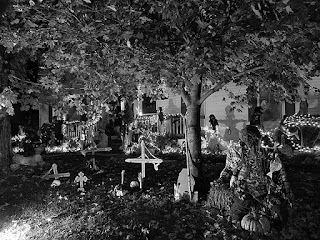 It was there that I went trick-or-treating for the first time as a parent, too many trick-or-treats ago. 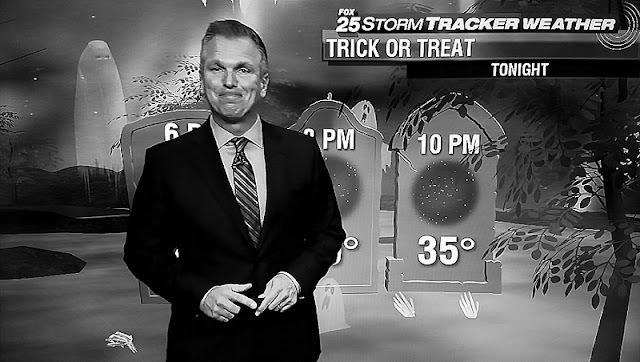 Last year’s trick-or-treating did start differently for us, though, so maybe that was an omen. 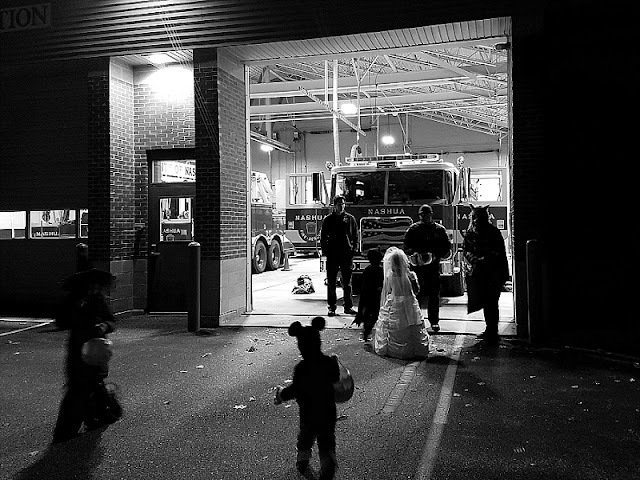 For the past few years we’ve costumed the children, and then stared out the window, waiting for the others to come. Knowing they would come. The trick-or-treaters. Rounding corners and detaching from doors and springing from the ground as if they were the ancient spirits they were unknowingly aping. At that point, we would turn off the lights and dive into the fray. 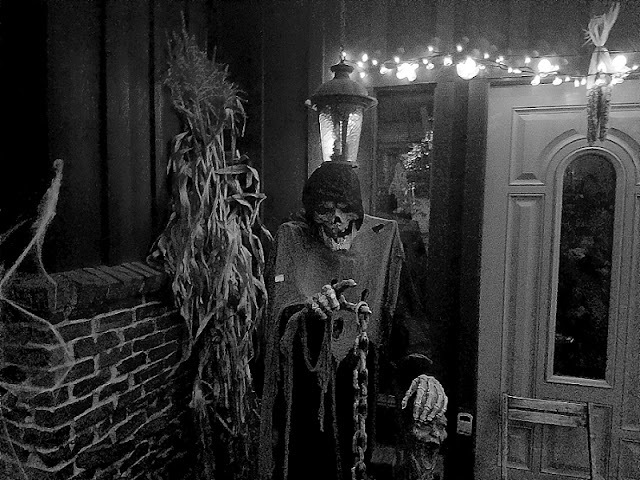 One year we set out a bowl of candy to appease the spirits in our absence, but we returned to find the bowl flung across the porch, the skull-expression of the skeleton who had held it turned from fleshless politeness to bony horror and shame. As a neighbor recently told me, you only make one teenager happy by setting out candy like that. So after that experience, we just shut the house down and hit the streets. We’ll make up for that Halloween karma once the kids are past trick-or-treating age. 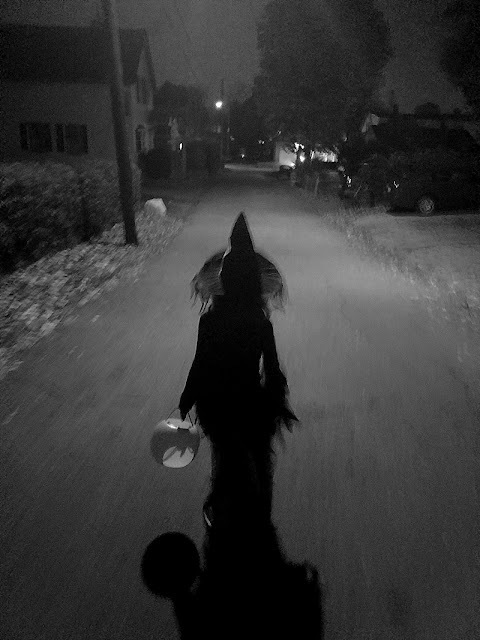 This time, though, as soon as the kids were costumed—my eldest a green-faced witch, my youngest, Mickey Mouse—we jumped into the car and drove three miles to a different neighborhood. My in-laws had just moved to town from the South, so we thought we’d do some trick-or-treating with them first. You know, to welcome them to Halloween, New England-style. When we got there, we saw a weatherman on the TV, backdropped by gravestones and ghosts, promising clear, cold skies for the night. Fortunately, the costumes the kids had chosen were pretty warm and we didn’t have to commit the sacrilege of making them wear jackets over their costumes. We then trick-or-treated the cul-de-sac before jumping back into the car to resume our yearly tradition in the neighborhoods surrounding our house. We met up with friends and jumped into that aforementioned fray. And it was a fray. A fray, a fray, a fray. 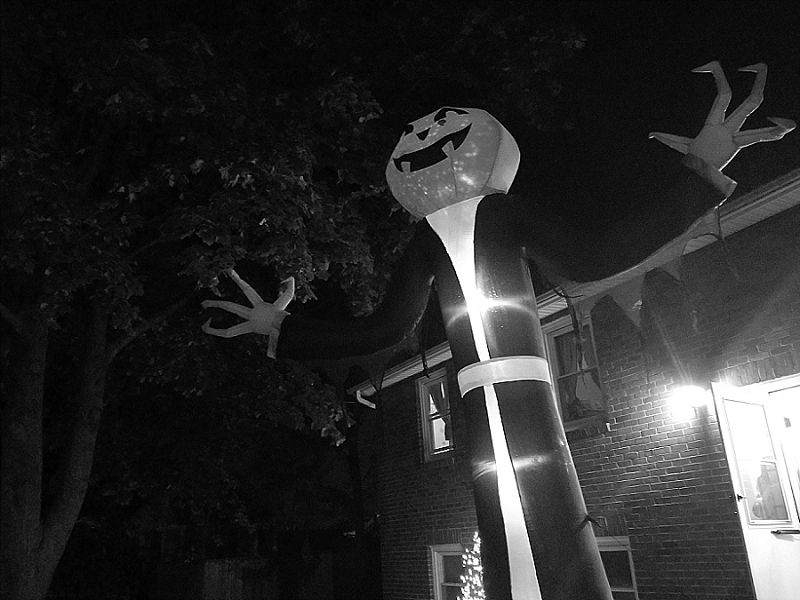 Every road full of monsters, every house lit up to lure them in. We found ourselves at the local fire station. We drank margaritas from plastic cups as we walked. We gathered the wrong kids at each house and then cordially exchanged them with the right parents at the next. And, as we’d done for the past six years, we all ended up at the Yellow House. We threw It’s the Great Pumpkin, Charlie Brown on the TV. The kids dumped out their plunder on the carpet and traded favorites after the adults picked out their own when the kids weren’t looking. 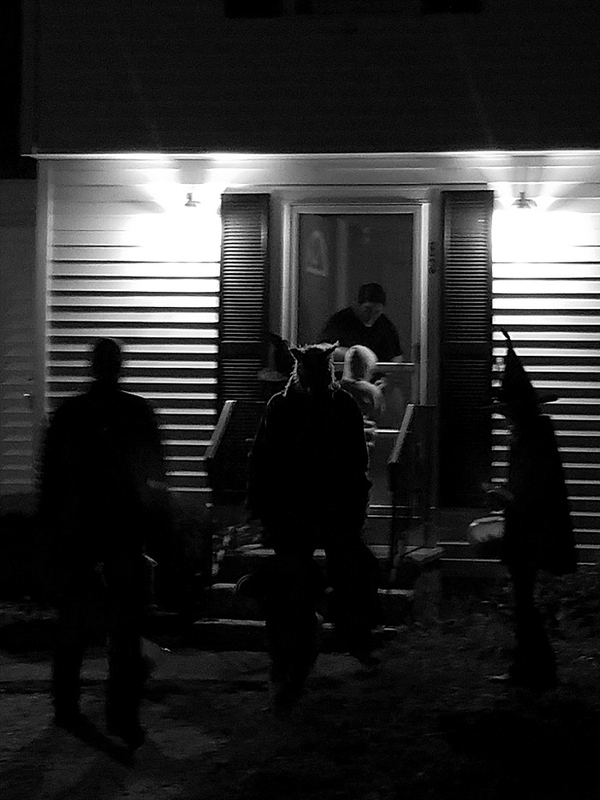 The two oldest kids sat out on the porch and handed out candy to those who just didn’t want Halloween night to end. Eventually, the warm chaos inside and the cold chaos outside both subsided. Our friends left. Our kids went to bed. I sat down, pleasantly full of Woodchuck ciders and mini-candy bars, and tried to watch a horror movie, but the magic had fled. We blew out the scented candles on the mantle, the jack-o-lanterns on the porch, and then went to bed, looking forward to next year, but also dreaming of snow and evergreens. Except that one month later we inadvertently found a house we really wanted, jumped on it, and by January was suddenly in a new house in a different part of town. And a whole new neighborhood to explore with opened sacks and masked faces. I don’t know what trick-or-treat will be like in this new neighborhood. You and I both know what the hope is: Every scene of Hocus Pocus. But who knows? The only thing I’m really confident about is that we’ll still end the night with a despairing Linus and a hallucinating beagle.